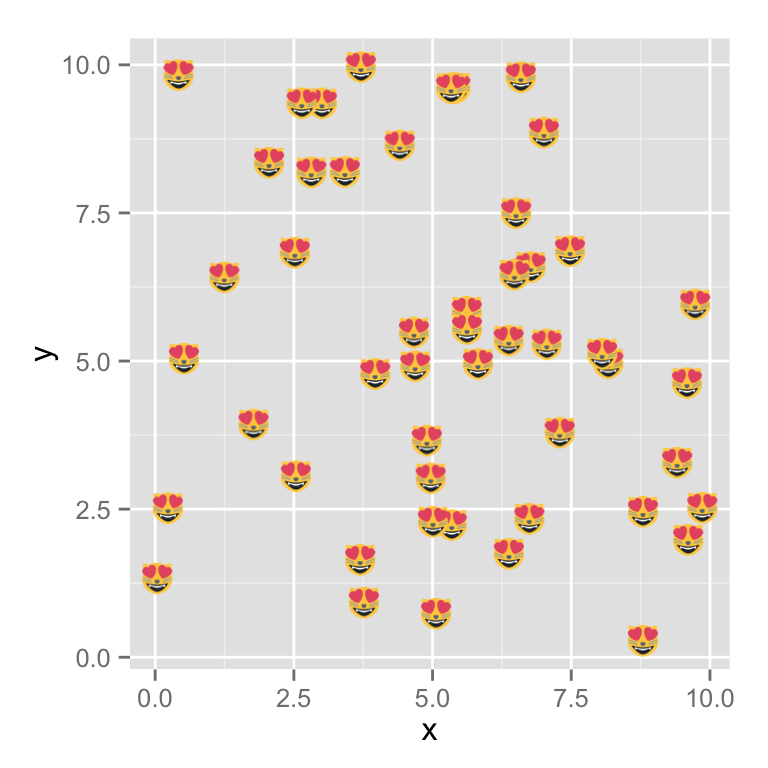 Use emoji in your ggplot2 plots. 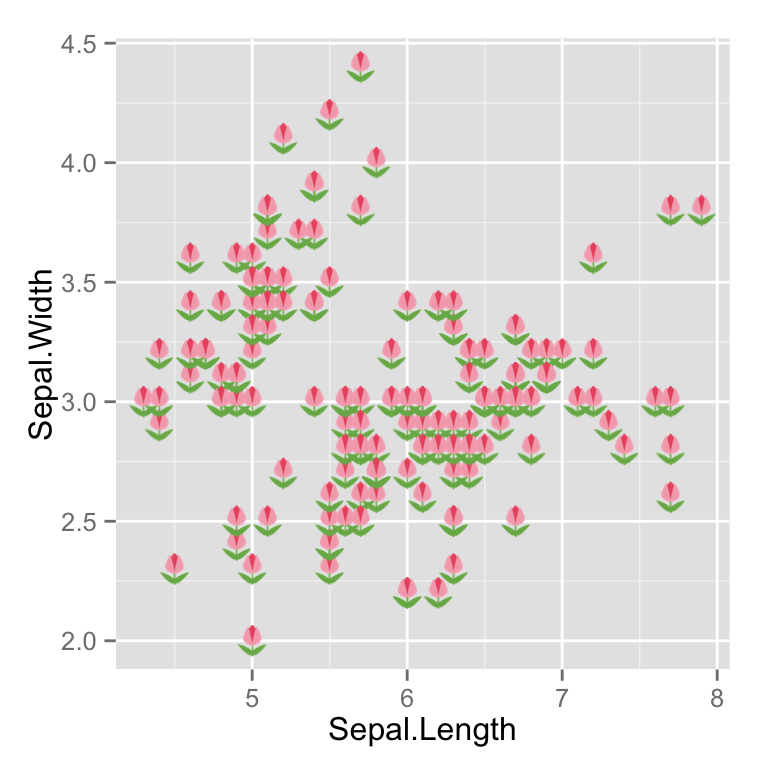 Note that this branch works with ggplot2 version 2 or higher, now available on CRAN. 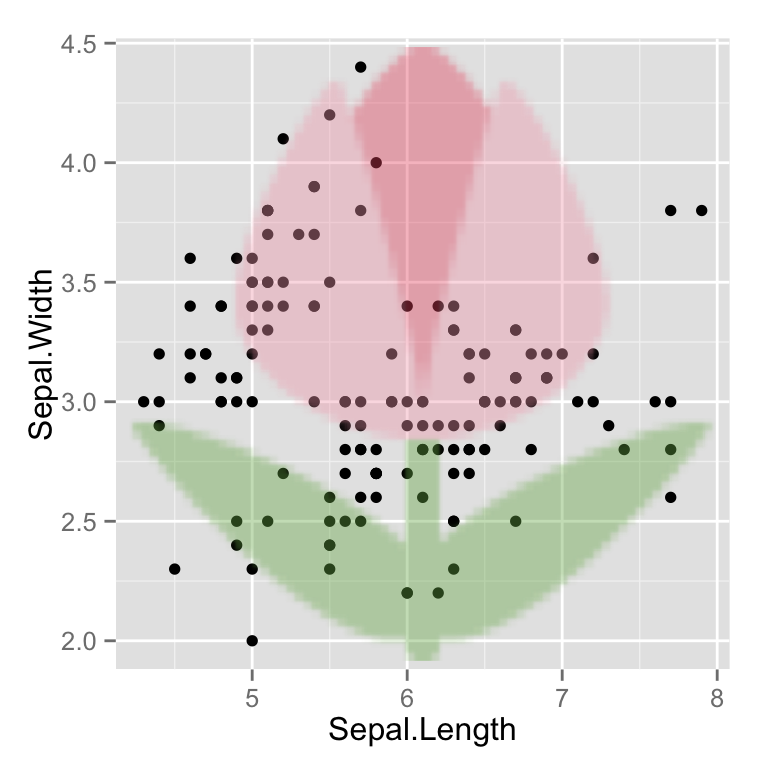 If you have an older version of ggplot2 please look at the ggplot2-pre2 branch. 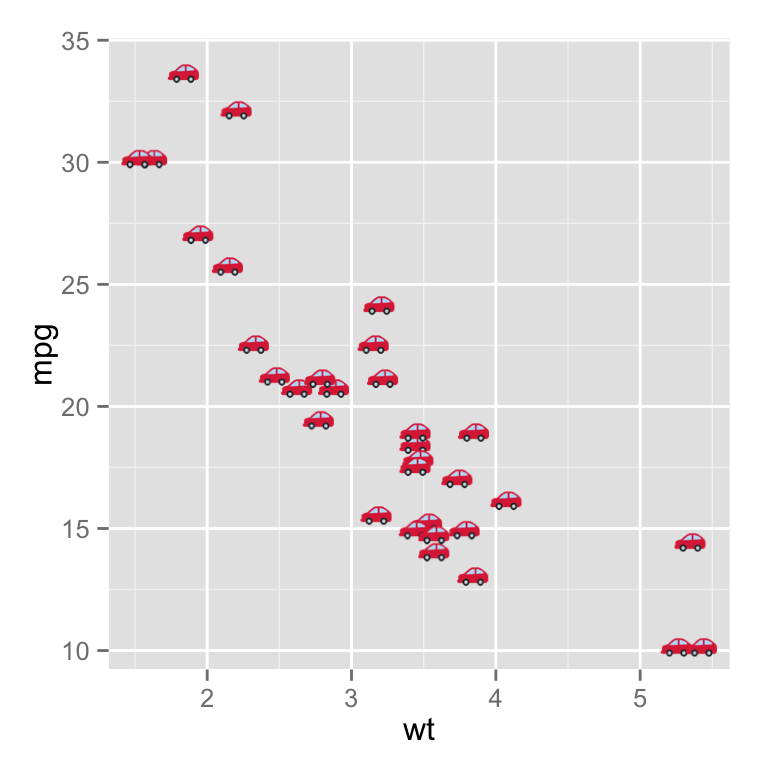 What about plotting mtcars with real cars? Emoji lookup is from @muan's emojilib. Emoji are loaded from a CDN using Twitter's twemoji, which is CC-BY 4.0 licensed. You can get attribution details on the project page. Keep up with changes to emoGG!